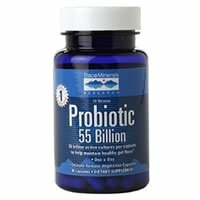 Overall, at 2.5 out of 5 stars, Trace Minerals Research Probiotic 55 Billion is an average probiotic for a specific ailment. What I like about this probiotic is that it’s very easy to take. 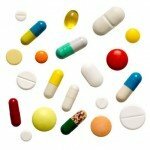 The capsules are much smaller than average and are easy to swallow. You only have to take 1 capsule daily on an empty stomach. The capsules are certified vegetarian and gluten free, which is a perk. Probiotic 55 Billion is also specially formulated with delayed release capsules that are meant to prevent stomach acid from killing the friendly bacteria. First off, this probiotic goes way overboard, even for a specific ailment. At 55 billion cells and 10 probiotic strains, it’s far too potent. 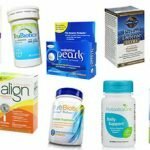 Having this many cells and probiotic strains can lead to very uncomfortable side effects such as gas, bloating, and abdominal pain. A surplus of probiotic strains also doesn’t necessarily benefit the user, either. They can begin to compete with each other when there are too many strains used. Also, this probiotic should be refrigerated to keep the probiotic cells potent and the cells are only guaranteed at the time of manufacture. Overall, at 2.5 out of 5 stars, Trace Minerals Research Probiotic 55 Billion is an average probiotic because it’s easy to take, vegetarian, and has a delayed release but it goes overboard and uses too many probiotic strains and cells that can lead to painful side effects. Trace Minerals Research Probiotic 55 Billion has 10 different probiotic strains and 55 billion CFUs. This particular strain may also be able to help lower the severity of some allergies and also balance out bacteria levels in the body. 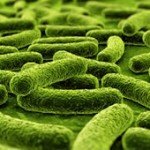 Trace Minerals Research Probiotic 55 Billion does have allergy concerns. The capsules contain traces of MILK and SOY. If you’re very allergic to either of these, please steer clear of this probiotic. 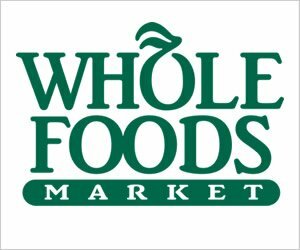 This probiotic is gluten free and certified vegetarian. The other ingredients include: stearic acid and hypromellose. A 30 capsule bottle, lasting 1 month, equals $23.99. By taking the recommended 1 capsule daily, it ends up costing $0.79 per day to take this probiotic. This falls right into the average range for a probiotic. I believe it’s a decent value for the price. I surprisingly didn’t experience any side effects while taking Probiotic 55 Billion. I would say this is uncommon since the product is so potent. With 55 billion cells and 10 different strains, others definitely might experience some side effects such as stomach pains, cramping, or gas. This product also says to take the capsules on an empty stomach, which may also lead to potential side effects. Keep this in mind if you have a sensitive stomach. Trace Minerals Research does provide a 100% money back guarantee. They have a “Feel the Difference or Your Money Back” guarantee. I really appreciate when companies provide guarantees for their customers! To buy Trace Minerals Research Probiotic 55 Billion, click here. Allergy Concerns Capsules contain trace amounts of milk and soy. Side Effects No side effects personally, but may be common with others.